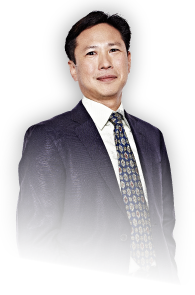 Dr Andrew Kan’s unique approach to patient treatment is based on his deep understanding of fertility, reproductive endocrinology, gynaecology and male infertility. His high pregnancy success rates speak for themselves, thanks to his medical and surgical skills, and access to the latest technology through his IVFAustralia network. He has already helped more than 2,000 babies come into the world. Born in Singapore and trained in Australia and England, Dr Andrew Kan speaks fluent Mandarin and Cantonese, and has conversational Japanese, Malay and Indonesian. He has specialist experience in treating Caucasian and Asian patients, and he frequently helps international patients from Asia whose home country clinics do not offer a full range of services. His colleagues in Asian IVF clinics also regularly seek his advice. Dr Andrew Kan graduated from the University of Sydney with honours in 1988, before completing his training in obstetrics and gynaecology. He then worked in London for three years to further his expertise in infertility, including a Clinical Fellowship at a private IVF unit where he was involved with Europe’s busiest egg and sperm donor program. After returning to Sydney he established the IVF Kogarah clinic with Professor Michael Chapman while working at St George Hospital. He completed his Master of Medicine (Reproductive Health and Genetics) in 2002 and his sub-specialty certification in Reproductive Endocrinology and Infertility (CREI) in 2003. He is also Clinical Director of the IVFAustralia clinic in Kogarah and the Fertility Centre in Liverpool, a Senior Lecturer at the University of NSW, and has helped to set up fertility clinics throughout Asia. Including Singapore, China and Malaysia.